The Vodafone Fiji Under 23 football side’s chances of qualifying for the 2016 Rio Olympic Games look brighter as they take on Vanuatu in the qualifying final in Papua New Guinea this evening. 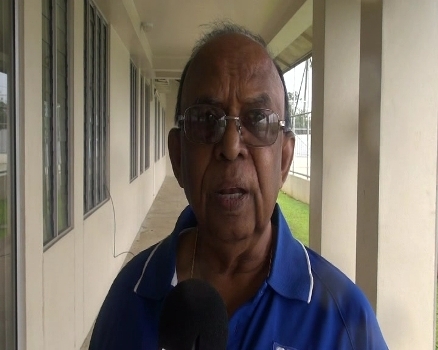 Fiji Football Association Chief Executive, Bob Kumar says the players will welcome the news as they have played Vanuatu before in the Four Nations Friendship Cup last month. The Pacific Games Olympics Qualifying final between Fiji and Vanuatu will kick off at 8pm. Fiji will battle Guam in the men’s basketball final with the Marques Whippy-led side looking to emulate the women’s gold medal success last night. The Fiji rugby league 9s side lost to Samoa 20-12 in the semi-finals and will now take on Tonga in the bronze medal play-off later this afternoon. Samoa will take on PNG in the final at 6pm after the hosts beat Tonga in the second semi-final.